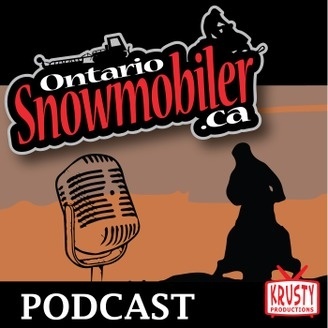 OntarioSnowmobiler.ca is a Talk Radio Show (Podcast) hosted by snowmobilers for snowmobilers. Join your hosts Dave (Krusty) Hunt and Paul (Yukon) Ineson weekly, as they provide you with current news from the snowmobiling world. They use our Facebook page, toll free message line (1-855-651-4401) and other sources to gather news and tips which they discuss on the show. So feel free to provide your input, share your ideas and let them know what you want to hear! Snowmobile Podcast #12 – Colours of Sledding: Visiting the Gold Rush Tour and the Ladies in Pink raise the Fundraising Bar. 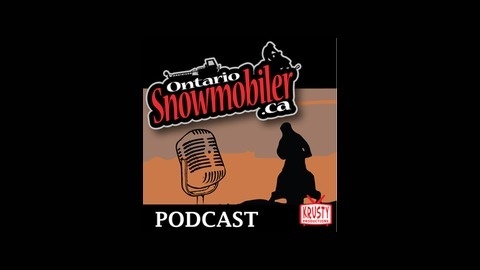 On this week’s #OntarioSnowmobiler.ca Podcast we talk with Mark Lapalme from Timmins Snowmobile Club in Timmins Ontario. Mark is the Operations Coodinator for District 14 and is the acting Vice President for the Abitibi Temiscaming Trails Association. We also have Suzy Stenoff joining us. She is the Co-Founder of the Kelly Shires Brest Cancer Snow Run which has raised over $3.5 Million Dollars. -Hey, I saw a thing on Facebook about a free weekend? How does that work? I am Going up to my Uncles place and I know he has a sled in the garage but I know he doesnt really use it anymore? -Krusy Plays the OFSC Try our Trails advertisement to help answer the question. -The Permit must be attached to you windshield. -The Best way to carry it is in a plastic bag. -Insurance, Ownership and Val Tags are also Required. -The Timmins snowmobile club is having a Family day event where there will be a fire for warming up, Groomer rides, snowmobile rides, Hot Chocolate, Hot Dogs, Coffee. This is Sponsored by by several places in the town. Yamaha Will be there for demo rides. -Many Clubs are doing events on the Family day weekend. -Thanks to Candice for the Question! -The Richmond Rover’s Poker run,in Munster, ON – Registration is from 9-11 . The cost is $25.00 -The event will leave from Danby’s bar and grill at 2858 Munster Road. Entry is 10$. Check in by 3 at the Community Centre..
For more information contact the Maple Leaf Snow Skimmers at call Diane at 613-338-2905 or Dewey at 613-332-0761. Registration is at8:30 at the Knights of Columbus Hall at 17 Poynts Street. Trail ride begins at 10:30am sharp. Contact Mike Lauder at 705-220-0422. Starting at the Best Western Mariposa Inn at 400 Memorial Avenue (or arrive by sled on B112B Trail access.) Contact Rob Love at 705-238-1347 or rlove@sledorillia.com for more information. Registration starts at the Hanover Club House at 10am. 1st prize is $1000, 2nd prize is $350 and 3rd prize is $150 with lots of other prizes as well. Poker hands are $20 or 3 for $50. For more information contact Rick at 519-369-4599 or rrpake@gmail.com or Jason at 519-364-3899 or grimm00@yahoo.com. Registration is from 8am-9:30 am. The run will start and end at the Round House Restaurant in Palmerston. They also have a meal plan again this year for Breakfast, Lunch and Supper. –Snowarama 2014, Sault Ste. Marie is hosting a Snowarama for Easter Seals. –Annual Atikokan Sno-Ho Rally and Poker Derby They ask that you Poker Derby Ride. Registration is open from 9-11am at the Chalet on Minnow Pond. Queen Contest, speeches and crowning at 7pm followed by a Dance anddraw for a 2014 Polaris. Raffle tickets are $20. Contact 807-929-2245 or rally@atikokansnoho.com for more information. -Grand Portage Lodge and Casino Snowarama for Easter Seals To celebrate the 11th year at Grand Portage Lodge and Casino, with every $100 in pledges you will receive a ballot to win 1 of 4 vacation prizes! Includes a bonfire on the trail, a fabulous dinner featuring a carving station, and entrance to the dance with live entertainment on Saturday night as well as lots of prizes. Please call Billi at Grand Portage Lodge and Casino at 1-800-543-1384 to book a room Trail permits will be required for those riders that venture off the Grand Portage Reserve trails for $36 USD. Minnesota trail permits are available at Ryden’s 66. -The look takes you through Timmins, Iroquois Falls,Kirkland Lake, New Liskard, Elk Lake, Shining Tree and back to Timmins. -You can start anywhere and finish anywhere and it takes about 3-4 days. -The loop is about 500-600 Kms with awesome views! -There is alot of Fuel, Food, Staging areas and lodging. -Mark reminds us to never pass a Gas Station. -This week end and it the 15th anniversary! -The Ladies are going to paint the trails pink this weekend with all the woman riders! -The number average of riders is 100 but it can see 200 riders! -There will be a meet and greet and may other activities and things to do. -No Men are aloud, But can join along after wards. -The run is all organized is by Volunteers! -Suzy Thanks Factory Recreation, BRP, Royal Distributing, Toronto International Snowmobile and ATV Show, OSM Magazine, FXR Racing and Choko Designs! -Mark Tells us a Interesting stoire about riding to his District Meeting. -Suzy tells us here stories about riding with Men. -Big thanks to our guests ! -Thanks to Suzy and good luck this weekend! The post Snowmobile Podcast #12 – Colours of Sledding: Visiting the Gold Rush Tour and the Ladies in Pink raise the Fundraising Bar. appeared first on OntarioSnowmobiler.ca Podcast.